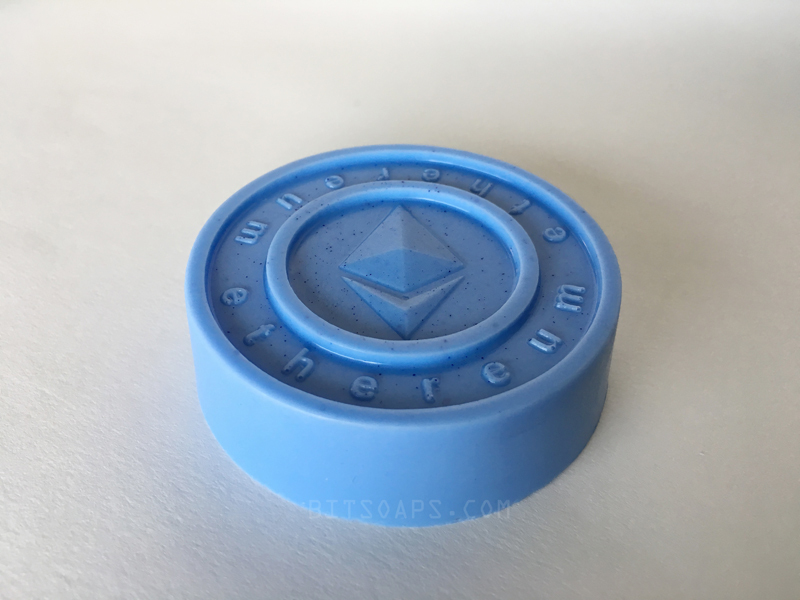 Ethereum soap is finally here! 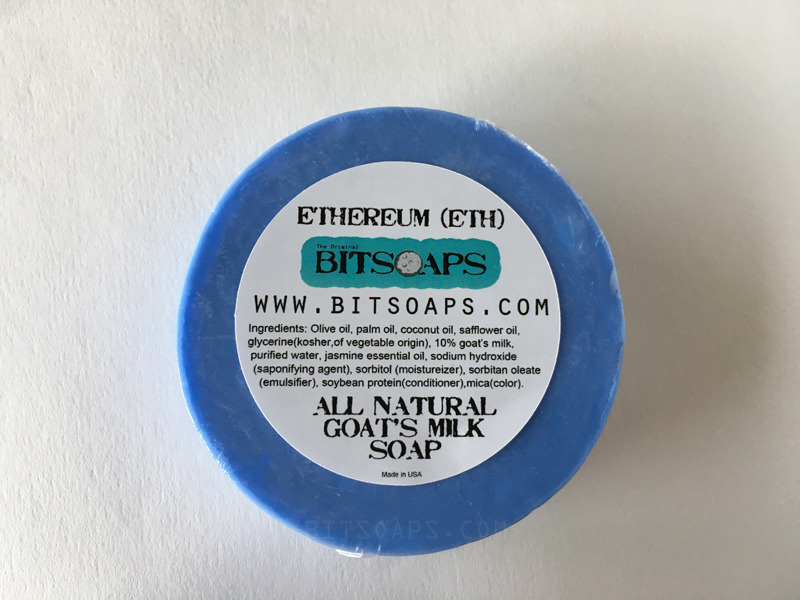 We have formulated this mild soap bar with goats milk for an extra creamy lather. Lightly scented with Jasmine to open up your senses. 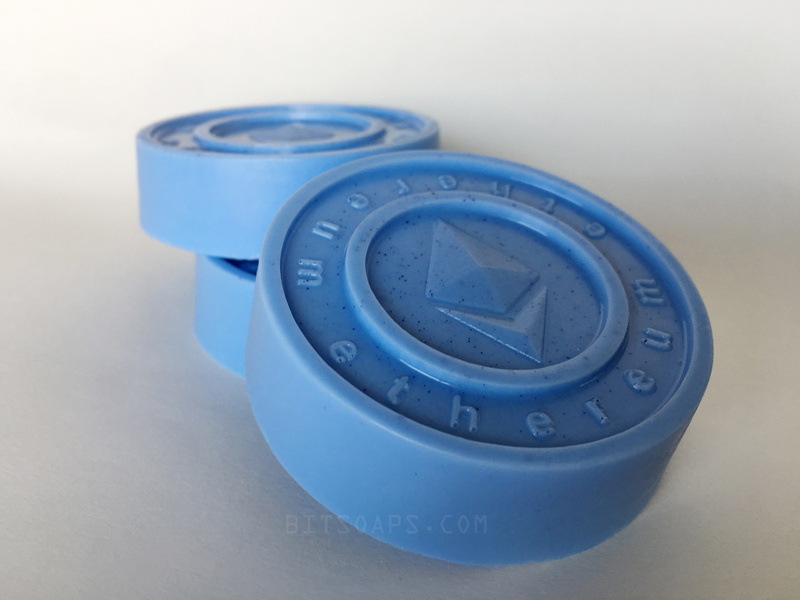 Works great on the face! -Goat's milk soap is great for people with sensitive skin, eczema, acne or psoriasis. -High in Vitamin A, which helps repair damaged skin and reduce wrinkles. Ingredients: Olive oil, palm oil, coconut oil, safflower oil, glycerine (kosher,of vegetable origin), 10% goats milk, purified water, sodium hydroxide (saponifying agent), sorbitol (moisturizer), sorbitan oleate (emulsifier), soybean protein (conditioner),jasmine essential oil. 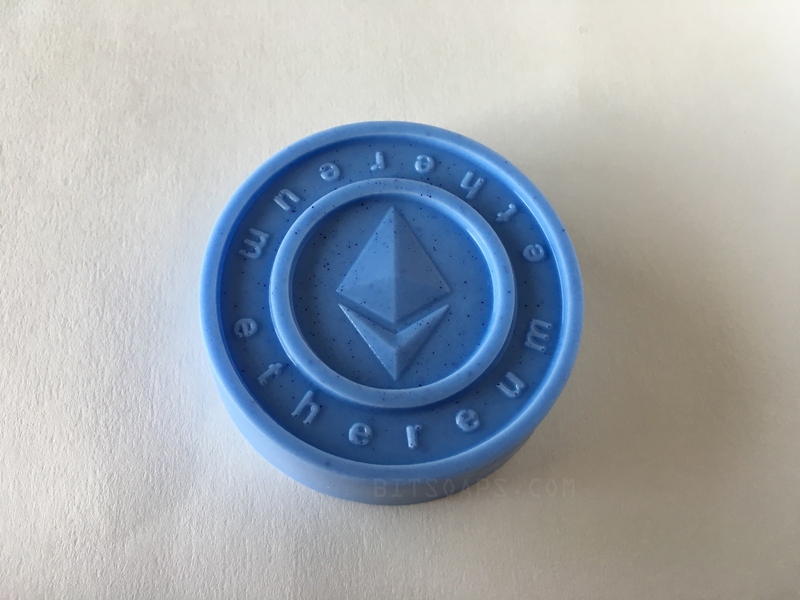 Since these are all made by hand, color and shape may vary slightly between batches.